Lately I’ve been thinking a lot about covens vs. solitaries. Many solitary Witches think that finding a coven is like achieving nirvana. It’s become sort of the holy grail of Wicca. The old “If I am good enough, study hard enough, am in the right place at the right time, or the stars have aligned…. Then I will find the perfect coven.” It always startles the hell out of me when I meet people at festivals and they start politicking hard, thinking that maybe they can try and talk their way into my coven. Oh crap. I’d like to say my psychic senses always kick in ahead of time and that I am able to deftly dance around these types of folks, but no. I am so busy being friendly to a fan or chatting with an acquaintance- that I am usually clueless until the schmoozing begins. Some folks are sincere, and I have had a few who got desperate and started pleading, and others who were pushy, rude and downright calculating. Here is a tip- all that desperation and or calculation is going to get you nowhere- fast. No matter what coven you would like to join. There are plenty of folks out there looking to take advantage of a novice. So be smart and don’t be desperate. Be selective! There are public covens that are good ones. Check those out and see who you meet. Where do you find them? Well ask around at local festivals and magick shops. 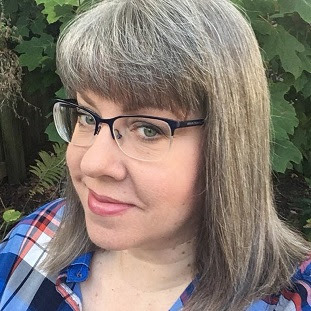 See who is teaching classes or if a public coven is offering classes, or meet ups. Go be social in your community, and be smart and safe. You may get lucky and find some new magickal friends and even a good coven. Expect to have to wade your way through a few not-so good ones. It’s all part of the learning process. Be careful and be SELECTIVE! You don’t have to settle. Also you need to realize that there are many, covens that are closed to the public- not because they think they are better than anyone else- but because what they has works. And they do not want to upset the apple cart and add new members and potential problems to the mix. Its not about elitism, its about preservation and caution. The truth is the best covens just sort of happen. I have been a member of a working coven for a long time. Off and on for over 20 years. Has it always been the same coven? Nope. People come and go, covens drift apart or break up. Sometimes a coven can hold for a decade, and then people drift away or leave for various reasons; such as moving, different views on the Craft, or just growing apart. When that happens the coven gets renamed and a re-birth begins. That actually happened with my own coven last year. We survived it. But it was a lot of work and a re-focusing. So to say that we are a tight group now, would be an understatement. Yes, we have had guests to our gatherings, but that’s it. We are all too protective of what we have to risk bringing an unknown possible member into the mix at this time. 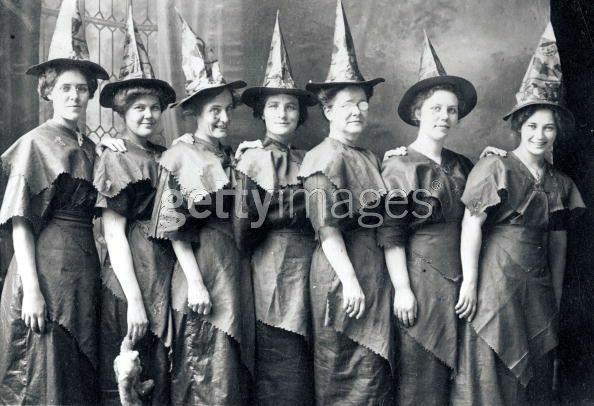 So, maybe you are wondering, well, what does holds a successful coven together? Oh that’s simple. Friendship. There will not be any grand-high-pooh-bah nonsense, what there will be is a bond of friendship and unity. You should be friends, close friends with the people in your coven. At it’s core a coven is a magickal family. That friendship is so strong that the members become your second family. And you don’t find that everyday. It takes time and effort and honestly, why should anyone settle for less? So for the person who is devouring this thinking that the answer to finding their own coven lies hidden somewhere within….My advice is to you is to keep studying on your own, develop your magickal skills and just be yourself. Talk to your other magickal friends, and slowly make more magickal friends- and then see what develops. Start a study group yourself, and in time if everyone gets along you can turn that into a circle. If the circle holds for a year or so then start formalizing and make it into your own coven. Yes, you can create your own coven. 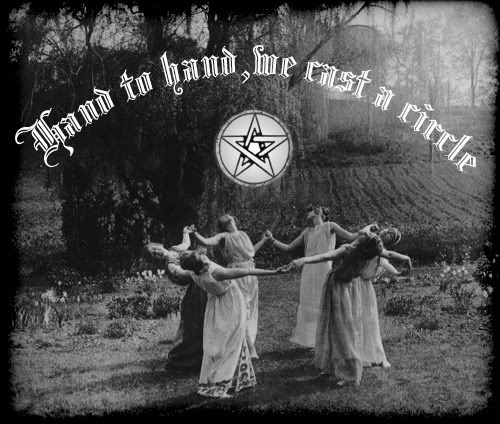 New circles and covens are born every day. If you have more than two people working and studying magick together, you have the beginnings of a coven. Take your time and decide what your goals are as a future group, together- and expand slowly out from there. 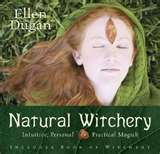 For more information about this “Creating your own Circle” topic, refer to my book Natural Witchery. (Pictured on the right.) Chapter 5 will walk you through the basics. In the meantime remember- even members of working covens still perform solitary magick. After all, a coven is not the place to dump all your magickal problems and projects- you should take care of those on your own. As a matter of fact, the majority of magick that I do is performed on my own. The Coven is for celebrating Sabbats and Esbats. It is also about enjoying the friendship I have with the folks in my coven. We are different from each other- yet we are the same. That’s what makes it fun and honestly this is where the strongest magick comes from! There is so much about this post that I can relate to! Coven of the Tangled Pines has been going for 5 years, and many of our current members have been around for a long time, but we have grown, shrunk, and evolved a lot. We're somewhere between public and private, always open to the idea that there are others out there with something great to bring to the mix, but really selective about who we consider for membership. Every new member changes things. It's so hard to explain that to people without them taking it personally. As a Solitaire and a single mother of a special needs child, I prefer to remain a Solitaire. But there are times I would like to spend some time with like-minded people to share ideas and knowledge. Well put/said Ellen. Covens have been on my mind of late and your latest blog entry was/is very insightful. Will reread that Ch.5 of Natural Witchery. Of course, as a new witch, I longed for a coven...BIG SURPRISE to find out that they are not all fabulous! After some significant pain, I realized that, as you say, a coven is a magical family. So, a family we built. It just kinda happened...we don't call ourselves a coven, we call ourselves friends. You hit the nail on the head. What a great blog, sincere, honest and right to the point. Well said Ellen, my coven has been together for 10 years, it developed out of another coven. We now don't live in the same area, but do stay in touch regularly, (facebook helps) After I had been in this coven for about a year, another friend of mine tried every way to be invited to join, but we had decided to remain closed. It actually almost cost us the friendship as she had hard feelings about not being invited. These women in my coven are the closest thing to sisters that I will ever have and I love them all.